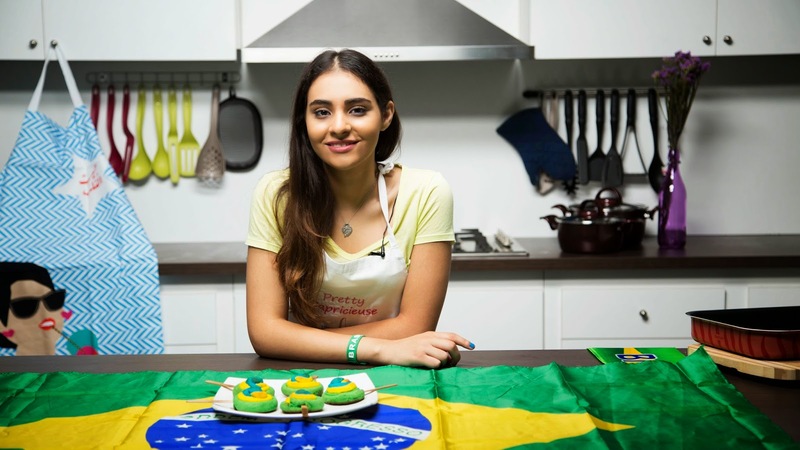 Let’s celebrate today the opening of the FIFA world cup 2014 in Brazil and the Brazilian team victory against Croatia yesterday with this delicious and easy-to-prepare recipe! 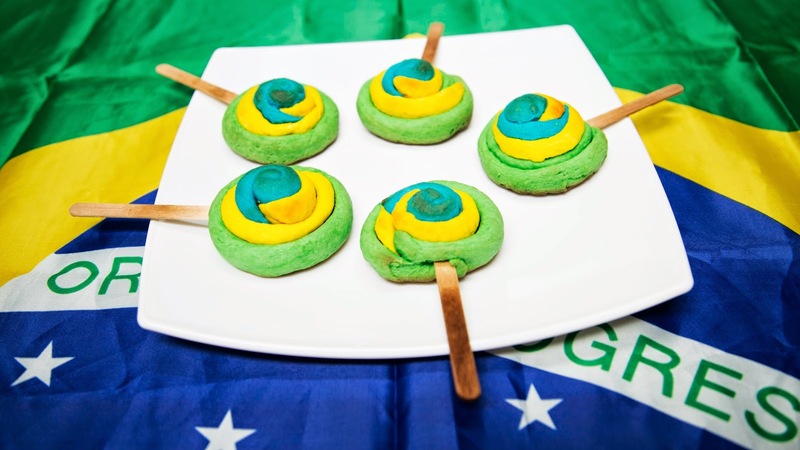 I thought of these cookies roll to perfectly match the Brazilian flag not only as a matter of colors bur also in terms of levels—the blue color comes on top of the yellow which in turns comes on top of the green. If Brazil is not your favorite team, you can still substitute the colors of the Brazilian flag with that of your favorite country! 1. With the help of an electric mixer, blend the softened butter, the sugar, and the cream cheese together. 2. In a small bowl, whisk the egg, the vanilla and the vinegar together with a fork (tip: why add vinegar and vanilla), and add it to the mixture. 3. Mix the flour, the baking powder and the salt and add it to the batter gradually. 5. Divide the dough into 3 parts: Add 3 tbsp of blue coloring to the smallest dough, 1 tbsp of yellow coloring to the larger one, and 3 tbsp of green coloring to the largest one. Knead well. 6. Take a small piece from the blue dough and roll it to form a snake. Take a bigger piece from the yellow and green dough and do the same. Stick the yellow to the blue and green dough. Roll to form a rounded lollipop starting with the blue end. The yellow dough should surround all the blue dough, as well as the green dough should surround all the yellow dough because the Brazilian flag colors come in levels and we want to show it in this way. 7. Insert the Popsicle stick into the center of the cookies. 8. Place the lollipops on a greaseproof paper in the mould and put to oven for 8 to 10 minutes. 9. Cool the lollipop cookies for 10 minutes before serving. Goodluck on the rest of the videos!